What would Sora's Final Smash be if he were a character in Super Smash Bros.? Hello all. I've recently gotten into organizing tournaments and so I figured why not start one on this website that I am on a lot. This will be an online tournament, so you will have to add your opponent on your Wii U. I will leave it up for discussion if you guys want me to host the match and it be played through my Wii U. I would like to host the finals on my Wii U though. If you are interested then let me know in this thread and I will make a bracket and send it out when in a few days. Tournament Rules Post which system you have it for or would prefer to play on. We could do potentially 2 brackets(wii u and 3ds) if there are enough people Suggestions help and this is mainly to have fun. The winner gets the KH13 Smash King title and if this is successful and fun for everyone then who knows we may do it again. Final Destination (Hands' Domain) The first thing that each competitor would notice was the odd darkness of this new place they found themselves in. However, an odd purple glow illuminated the realm, revealing that they were standing in what appeared to be an endless void. In the distance, what appeared to be a flaming orb and a blue orb clashed together, creating more light for the fighters. However, a feeling of darkness was still present. The Hands presented themselves to the fighters, giving them the same speech one at a time. The fighters were not allowed to see one another before the games. The Hand, either Master or Crazy, laughed as it hovered above its chosen hero. "Welcome to our game." Master Hand spoke in an ominous tone, while Crazy Hand's speech sounded frantic and uncontrolled. "We've brought you here to settle an argument between us. You will sponsor me in this upcoming competition." Of course, each fighter was a sponsor for the Hand that spoke to them at the time. "Battle anyone you meet from the opposing team. Whichever team gets the most points win the competition, and each member will get one thing which they desire..." The Hands then gave the competitor a small slip of paper: those fighting under Master Hand had a large "M" written neatly on it, while Crazy Hand's guests had a scribbled "C" on the slip. "Good luck..." After a flash of light, the competitors would find themselves in an entirely different landscape, left to fend for themselves... Gaur Plain - Zelda The young Hylian awoke after her meeting with the Hands, still not entirely certain of what exactly was going on at the moment. She looked around the meadow she found herself in now, hoping to find some sort of familiarity. Everything from the geology to the wildlife seemed entirely foreign... What really concerned her was the massive titan looming in the distance. This looked nothing like Skyloft, nor the wilderness of the surface that she had just begun to know. She got up to her feet and looked around, taking in her surroundings. She opened a small pouch she was carrying to study the paper that had been left with her. "I'm fighting for 'M,' then?" She tried to see if anyone else was nearby. "I have no clue what to look for in terms of an opponent..." She sighed, and began to walk through the grassy fields. On the bright side, the setting was nice. She found a large boulder near a cliff-side and sat on it. She pulled out her harp and began to play a few notes, filling the air with music. Nearby, she could see a lake with a few odd, large reptiles drinking from it, and of course, a few cliffs. She focused on her music, trying to calm down in her new setting. Pokemon Stadium- Shulk Shulk, on the other hand, found himself in the center of an arena, with cheering crowds surrounding him on all sides. "Where on Bionis is this place...?" He asked. He'd never seen a place even remotely similar to this one. The crowds seemed to be chanting the word "fight" over and over. Shulk looked more confused. "Who am I supposed to be fighting...?" He gazed around the small battlefield he was now on, trying to spot his upcoming opponent. Smashville - Sayaka "HEEEAAAALLLLP!" One word was all it took for Sayaka to spring into action. She raced through the new city she found herself in, not slowing down to try to figure out where she'd been taken. What mattered most to her right now was helping this person in need. She eventually found a large bear standing near a river, panicking about something. "Go!" Sayaka exclaimed, then began to do a cheer act for the bear. However, this didn't seem to be helping much. "You have to help me, ma'am! I dropped my house keys into the river here, and I forgot my fishing rod!" The bear explained, hoping that Sayaka could retrieve it for him. Sayaka suddenly stopped her act. "Oh, uh... you want me to help get it for you." She felt a little embarrassed by her misunderstanding of the situation. At least she got to try out those new moves she'd been practicing. Sadly, she didn't have a fishing rod. However, a dog walked over and helped out the bear, freeing Sayaka from having to explain that she couldn't do anything. She cheered on the two animals as they finished their job, then left after the key was retrieved. She walked through the town, keeping an eye out for any opponents, and an ear out for any more cries for assistance. https://www.youtube.com/watch?v=eLOGyAhcTgQ ... Just... watch this. Video GOOFY FOR SUPER SMASH BROTHERS! https://www.youtube.com/watch?v=6W1F8153d6sRemember to vote for Goofy for Super Smash Bros! He's clearly the best candidate, equipped with everything a character has to offer! 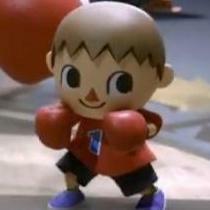 http://www.pocketgamer.co.uk/r/3DS/Super+Smash+Bros+for+3DS/news.asp?c=66764 Let the rage commence. This video. The feels. Just Wow! MatPat has outdone himself this time. Can someone give me some tips for pit and sonic? After tabuu death, the world of super smash has been in preace,but that was only ten years ago.when a new evil is unleashed in the world of smash.many fnighters has join this guy.but some fnighters have unite to take a stand.so WHO side are you are. ?the rules:you can be ANY video game character.kh13 rules,no swearing,no god moding,no being anyone characters or killing characters without p.m me about it and to find out you read the rule you must tell me whice character in smash is your fav.charater sheet name: .from: .look: .side:.attecks: .bio: and last fanil smash: . Your have all powers you need now flight! Sakurai likes to include characters from games he worked on in Smash Bros. Thats why it's time we start supporting Snoop Dogg. Sakurai worked hard on making Def Jam: Fight for NY an incredible generation defining game. Snoop Dogg is arguably the most recognizable character from that game. This is one of the many reasons why this guy's my favorite announcer ever. Super Smash Now On Calculators?! Welcome to the very first Super Smash Bros 3DS Tournament! This tournament will be the very basic. If you already have knowledge on how to play, then this tournament should be easy to figure out. ----------------------------------- Rules and Regulations In the First Round, you must have all the items on. On the rest of the rounds (2nd round and up) there should be no items except Smash Ball. Must have Super Smash Bros for the 3DS. The Stage should always be random in any round. All of the rounds will be timed, it will be going on for 3 minutes. There is absolutely no customization allowed, so please turn off customizations! Please let me know if you cannot battle before the battle occurs. It will cause issues with not only me, but with the other people you are fighting against. Have fun! Don't be rude or show bad sportsmanship. Of course jokes are allowed. You must have internet connection and we will be playing in 3DS Friend made rooms. We want someone in that group to have great internet connection! You must fill out the sign up sheet. ----------------------------------- Sign Up Sheet Mii Name	Friend Code	Time Zone	Days Available this Month	Favourite Fighter (Mandatory)	Internet Connection (Weak, Medium, Strong)	Questions (Optional) We have 16 Participants So far. We need either 8, 16, 24 or 32. 8 people will consist of 2 Groups and 2 Rounds. 16 people will consist of 4 Groups and 3 Rounds. 24 people will consist of 6 Groups and 4 Rounds. 32 people will consist of 8 Groups and 5 Rounds. ----------------------------------- Brawler List (KH13 Username/Mii Name/Friend Code/Time Zone/Favourite Fighter/Days Available/WIFI Connection) 1) Shana09 (Joffery) (0146 - 9405 - 8796) (EST) (Pikachu) (Any Day) (Strong) 2) Xian Cano (Xian) (1676-3804-7245) (EST) (Mario) (Any Day except Tuesday and Wednesday) (Strong) 3) Jilly Shears (Chris) (2895-8023-7426) (CST) (Lucina) (Available during Weekends + Afternoons on Weekdays after 4 PM) (Strong but issues with PvP) 4) JustBetweenYouand-I (Jorge) (3995-7000-0604) (CST) (Marth) (Fridays and Weekends) (Weak to Medium) 5) Cucco (Chris) (0576-3705-7507) (CDT) (Ike) (Any Weekend, Weekdays after 4 PM) (Strong) 6) juma086 (Juma) (1590-5789-8311) (EST) (Fox) (Thursday, Friday, Saturday and Sunday) (Strong) 7) Shulk (Axel) (1220-6848-9575) (Mountain) (Shulk) (Friday - Sunday, 6:30 - 7 PM specifically if busy) (Medium) 8) Hero of Winds (Austin) (5300-9439-0373) (EST) (Toon Link) (Depends: Work time. Will update Saturday) (Strong) 9) Shigehiko (Gabriel) (0216-1097-2887) (EST) (Little Mac) (Sunday and Monday Free) (Strong) 10) Sun Wukong (Jay) (1246-9822-2914) (EST) (Sonic) (Any night and every other weekend starting October 18th) (Strong: Weekdays, Weak: Weekends) 11) Daniel Black (Black) (2595-2386-0116) (CST) (Lucario) (Thursday, Friday, Saturday and Sunday, 5 PM - 12 AM) (Medium) 12) SmashLegendRiku (Smash) (4811-8081-8339) (CST) (Dr.Mario) (Thursday, Friday, Saturday and Sunday) (Medium) 13) Jim (Hodor) (4210-4194-6585) (EST) (Pac-Man) (-Being Determined-) (Weak-Medium) 14) Dave (Dave) (5026-4573-2524) (Mountain) (King Dedede) (Anytime) (Strong) 15) RoxasVen30 (RoxasVen) (5086-3278-5547) (EST) (Dark Pit) (Friday and Saturday of October) (Medium-Strong) 16) AT-LOW Kihara (Kihara) (1203-9711-7053) (Central) (Zero Suit Samus) (Wednesday and mostly Friday) (Weak-Medium) 17 (Replacement): Annoying D Waluigi (Metal Snake) (0387-8826-4643) (AST) (Megaman) (Monday - Saturday) (Medium) Please take a look at the Friend Code Topic if you want to register! (http://kh13.com/forum/topic/80223-super-smash-bros-4-friend-code-list/) The deadline to sign up is October 20th 2014 EST Time! ----------------------------------- Time Zone Legend: AST = Arabian Standard Time (The person in this tournament are Arabian or East African) UTC = Universal Standard Time (Not sure, but possibly Russian or Eastern Australian) GMT = Greenwich Mean Time (The person in this tournament are possibly European or African) Central = Central Standard Time (The person in this tournament are American or Canadian) PST = Pacific Standard Time (This person is on the west coast of North America) EST = Eastern Standard Time (This person is on the east coast of North America and the north west coast of South America) ----------------------------------- Brackets Please speak with your opponents when to battle and report back to me. Tournament Schedule First Round End date: November 1st Second Round End Date: November 10th Third Round End Date: November 20th Please finish your battle and post the results here before the deadline. Thank you and have fun! ----------------------------------- I hope you guys would be able to join and if you have any questions feel free to ask me! So... A guy started a petition to make Nintendo put Smash Bros on the Vita. His reasoning? Source: http://www.nintendolife.com/news/2014/10/weirdness_sony_fan_creates_petition_in_hope_of_bringing_super_smash_bros_to_the_ps_vita This is just... Wow. I don't even know what to say. http://www.nintendolife.com/news/2014/09/super_smash_bros_for_nintendo_3ds_national_open_tournament_to_find_the_best_fighter_in_the_us Here are the locations: I'm surprised they've actually got one in my state, since we never get any Nintendo events aside from the E3 ones around here. I'd enter, but I don't think I'd be able to get a ride. Guess I'll have to settle for watching the finals. Video Is Ridley In Smash Bros?